In our ever-connected world, online file-sharing services are essential for any business to operate on a global scale. Sure, email works too, but as it turns out, most have size limits that constrain (and confound) you at every turn. For example, Gmail has an attachment size limit of a paltry 25MB, which might be fine for sending a photo or two, but certainly not big items such as movies or Photoshop files. Thumb drives are extraordinarily big in capacity these days (1TB, anyone? ), but it’s hardly practical to Fedex a thumb drive to an employee or client on the other side of the world. 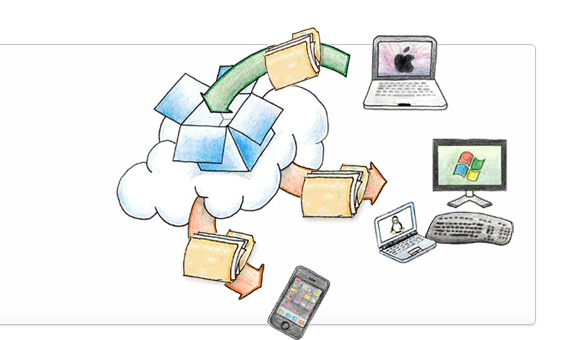 Simply put, your company’s file distribution system lives and dies with online file-sharing services. To help you, we’ve pulled together 7 of the best file-sharing services online that you can use right away. Anyone not living under a rock has heard of Dropbox — even those who don’t even know what it does. A huge advantage that Dropbox has is its enormous customer base: they currently serve 200 million users, and 4 million businesses. Chances are that your employees or clients already use Dropbox for their personal or corporate use. 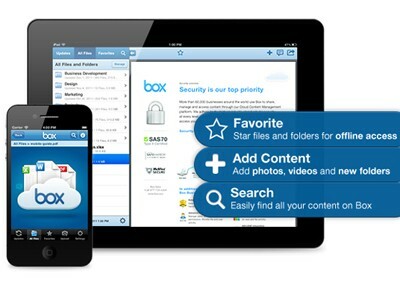 Dropbox sets itself apart with its ease of use. With the Dropbox client, you are essentially able to share any file from any folder in your computer, as any files pasted into your local Dropbox folder are automatically synced to the web application. Box comes in a close second after Dropbox, differentiating itself by being incredibly generous with its basic amount of storage: 10GB. Certainly nothing to sniff at, and usually ends up being all that a freelancer needs. On the downside, there is a file size limit of 250MB per file uploaded, which can be a dealbreaker for small-to-medium sized enterprises. If you’re looking for a simple, painless solution for firing single files to your employees or clients, WeTransfer excels. It requires no registration or username — simply upload, enter your recipient’s email address, add a message if you so desire, and send away! 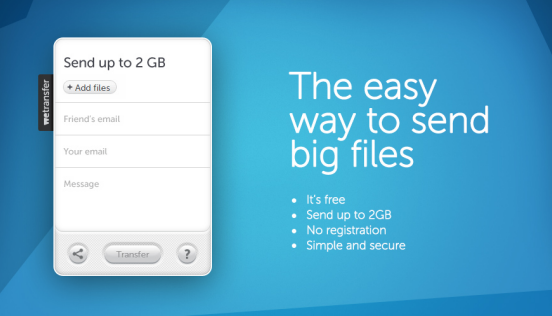 WeTransfer has a file size limit of 2GB per file sent, which is probably more than enough for any user. Additionally, it also holds the data sent for up to 14 days. If you thought that file sharing couldn’t get any easier than that, think again — Droplr manages to further simplify even the simple. 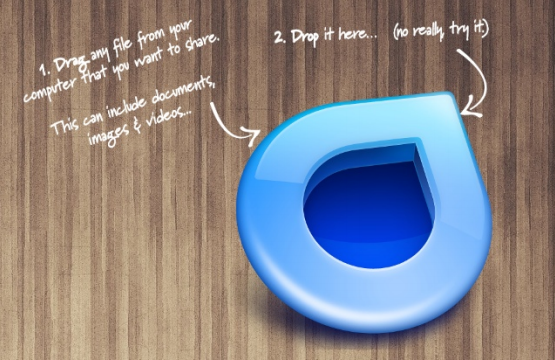 All you need to do is to drag the file of your choice onto the Droplr menu bar icon, and Droplr returns a URL to you. You can then send this URL to your desired recipients. Simply as pie. Most users tend to use Droplr for small things such as screen captures that need to be sent back and forth quickly. While Droplr has discontinued its free plan, the new Droplr Lite plan (which costs $4.99 per month, or $49.99 per year) has absolutely no limit on the number of files that can be shared. Speaking of screenshots, there’s an app for that too. 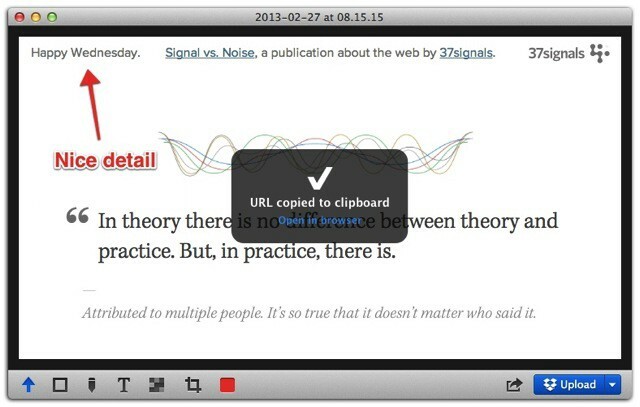 Glui.me is one thing only — a screenshot and annotation tool — but performs admirably in this area. It can become an essential part of your workflow if you let it. Whenever you need to take a screenshot, simply navigate to the menu bar icon (or put it in your Dock), click on it, and pick the screenshot type you need. Once done, you can annotate the picture with a variety of modifications, such as arrows, text, and auto-pixelation. Here’s the kicker: you can choose to upload these pictures directly to Dropbox if you so choose to. If not, there are options to email, iMessage, post to Facebook or Twitter, or save it to your computer. 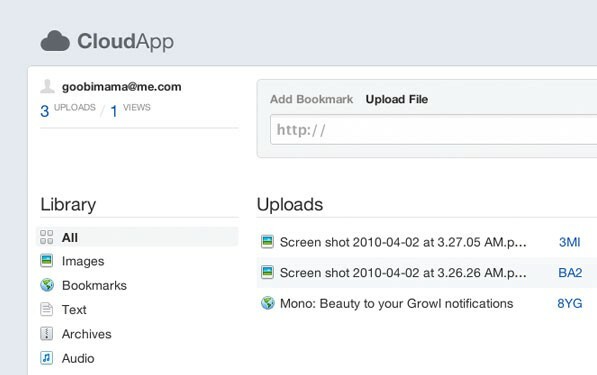 CloudApp is, in many ways, very similar to Droplr. To send a file, simply drag it over the CloudApp menu icon, and it gives you a link that you can send to others. What makes it even better is its outstanding plugin system that allows you to plugin CloudApp into various different applications, such as Photoshop and Chrome. It also offers the user the choice to auto-upload all screenshots onto CloudApp directly, making the screenshot sharing experience even more seamless. The downside: there is a file size liit of 25MB, and only 10 uploads are allowed daily for the standard user. This can be easily eliminated by upgrading to the pro account, which lifts file size limit to 250MB and, sets down no maximum daily upload limit. Simply put, Egnyte focuses more on large office collaboration and security functions. For these, their fee is naturally more expensive, starting at $8 per employee/month, but well worth the additional money spent.